If you’re planning the great American road trip this summer, here is a new site that can help you get the most out of your time. 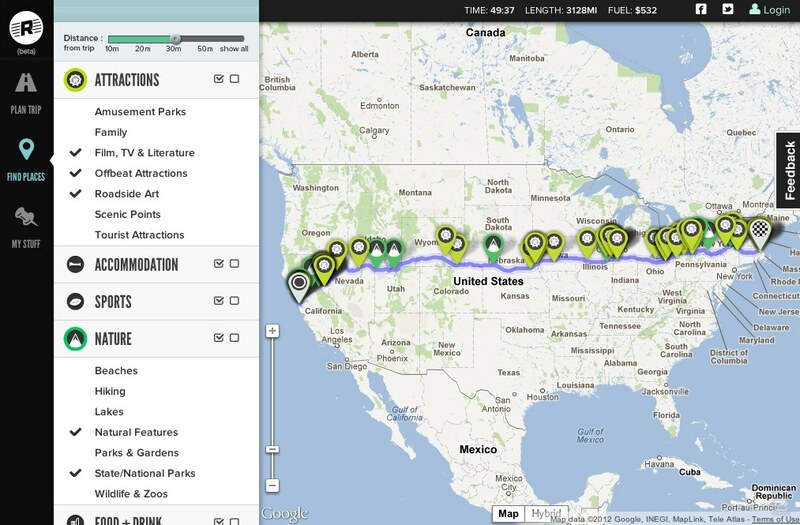 Roadtrippers, which also just secured its first round of seed funding, launched in public beta today. The Cincinnati-based service lets you create a basic route with directions for your trip using Google Maps. There’s nothing special about that, of course, but the nice thing is that you can also find everything from quirky roadside attractions like the world’s largest dead polar bear, parks, beaches and other roadside attractions and accommodations within a set distance from your route (up to 50 miles). In total, the site currently features about 20,000 attractions, services and accommodations. Roadtrippers also gives you an estimate for how much you’re likely to pay for fuel on your trip, but the focus here is less on mapping that on finding cool things along your route. For the time being, though, you can’t save trips and edit them later. The team plans to add this feature later. You can, however, share your plans on Twitter and Facebook. Roadtrippers managed to secure Jamie Jensen, the author of the popular Road Trip USA guidebook as an advisor. The Roadtrippers team, including James Fisher and Tatiana Parent, founded the company in a motel in Savannah, Ga. (or so they say). They participated in the summer 2011 class of Cincinnati-based startup accelerator Brandery. Roadtrippers hopes to reach about 100,000 active users by the end of the summer. The company currently has three staffers besides its founders, as well as two interns.